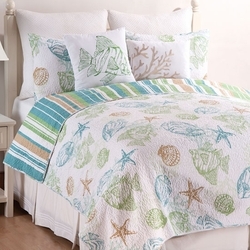 2 Piece Twin Coastal Quilt set. 100% soft Cotton. Reverse is a coordinating stripe print. Set includes twin Quilt and 1 standard Sham.